Another month has gone by, which means that it’s time for another update! 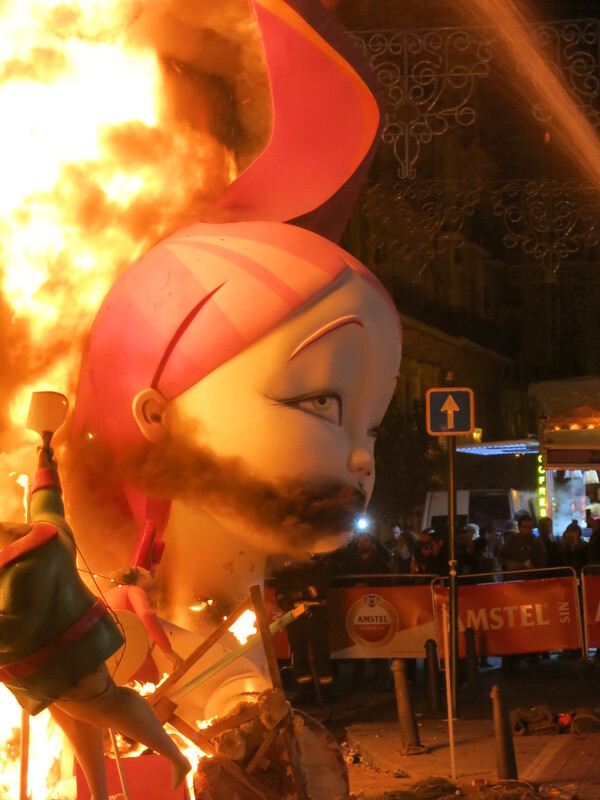 When last we left off, I was dodging petardos and deafeningly-loud explosions, chomping churros and buñuelos, and vainly attempting to work during the raucous merriment of Fallas. 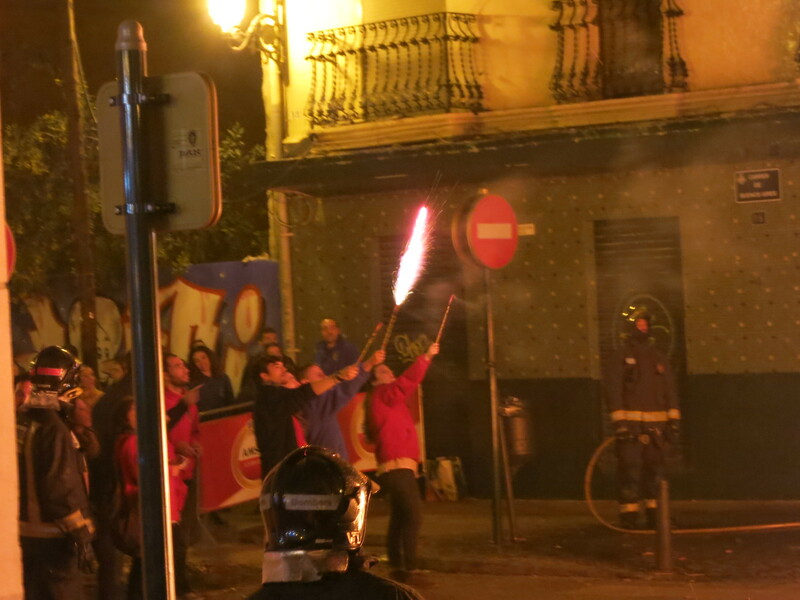 Berklee gave us a few days off in the spirit of, “If you can’t beat ’em, join ’em.” If there are two things that Valencia takes very seriously, they are brass bands and fireworks. 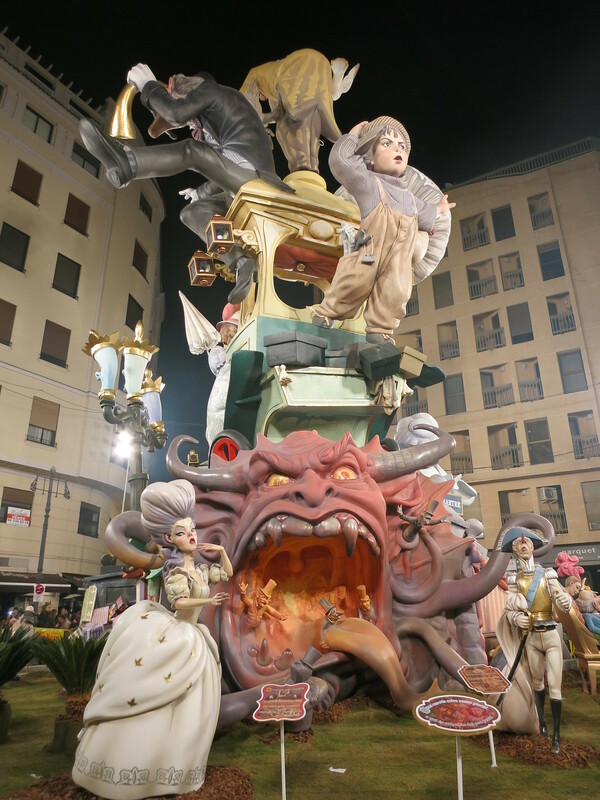 Las Fallas provides the perfect opportunity for these two to intersect, and the grand finale of the holiday, La Cremà, is no exception. 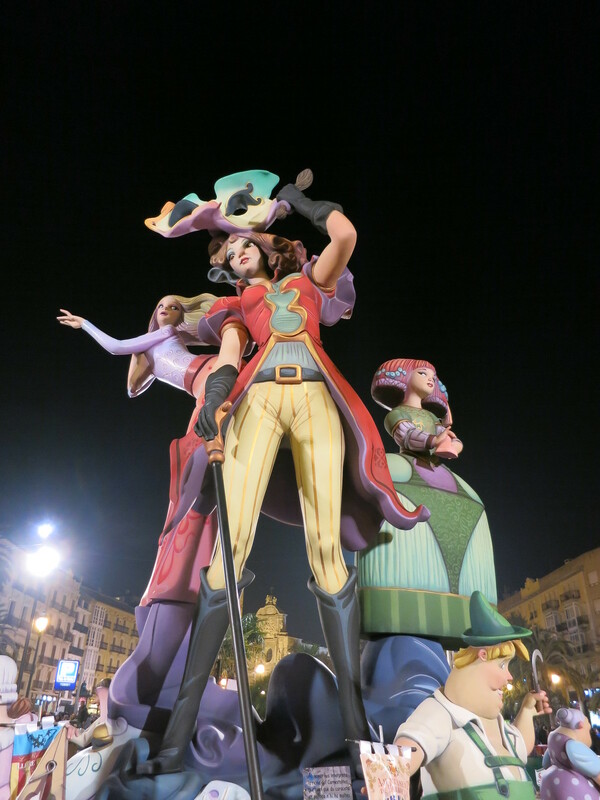 Here are a few photos and videos from the final days of the celebration, but these images cannot do justice to the spectacle that is Las Fallas. The incredibly tall falla at Plaza de la Reina. 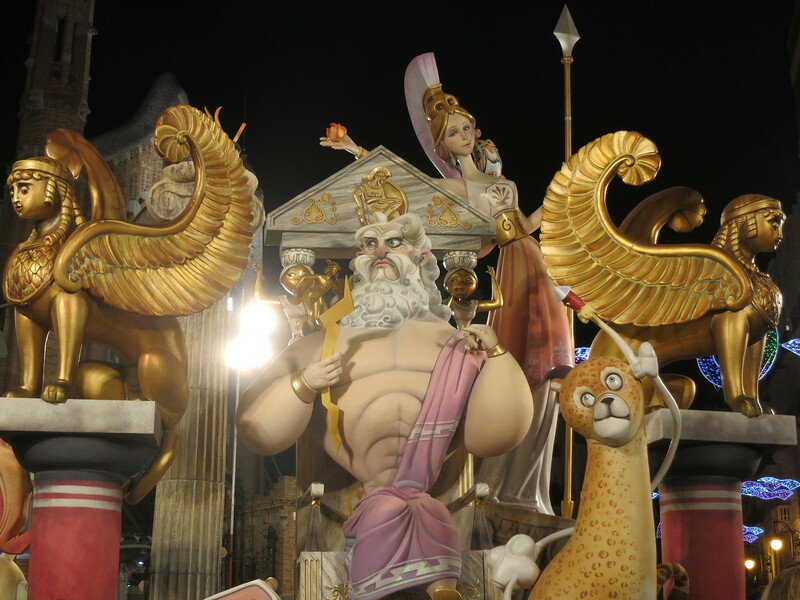 A massive Greek god-themed falla. You bet we came back to watch this one burn. 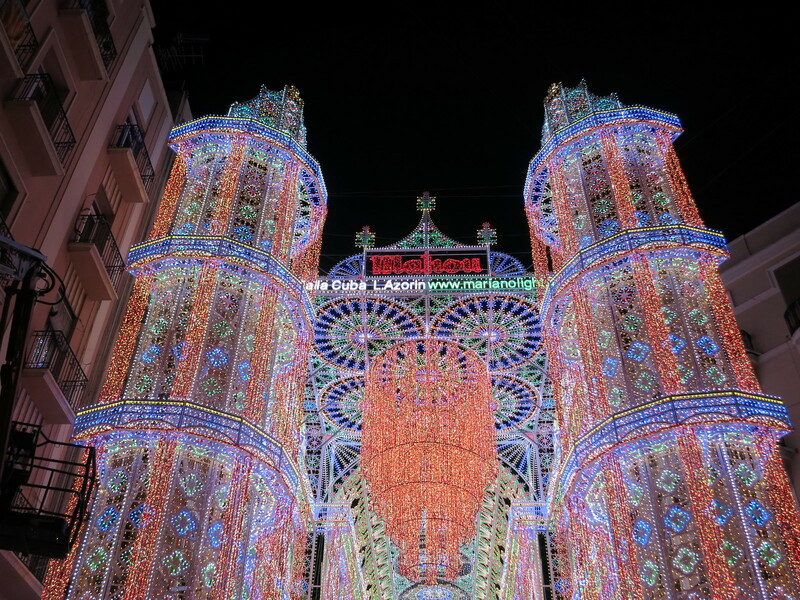 This isn’t a falla; this is a street. …went for the gusto. This one even hosted nightly concerts and light shows. 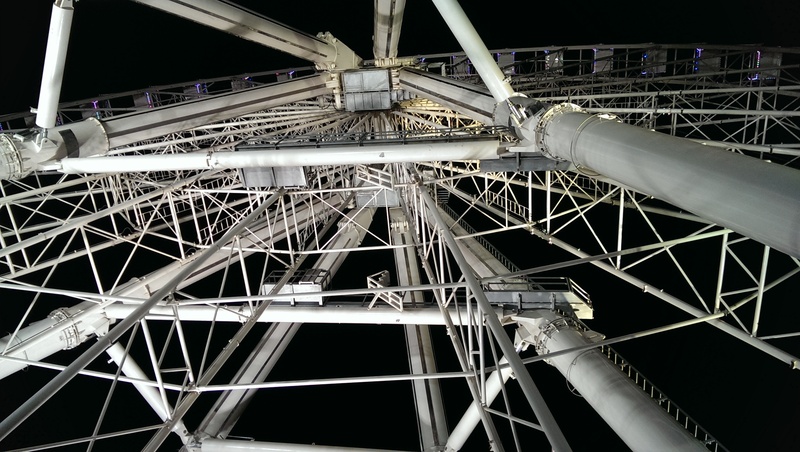 There was even a Ferris wheel. In the spirit of “the bigger, the better,” a Ferris wheel was erected alongside the Turia, not too far from where the nightly fireworks were being set off, giving those with perfect timing (including yours truly) a view of the pyrotechnics from the air. 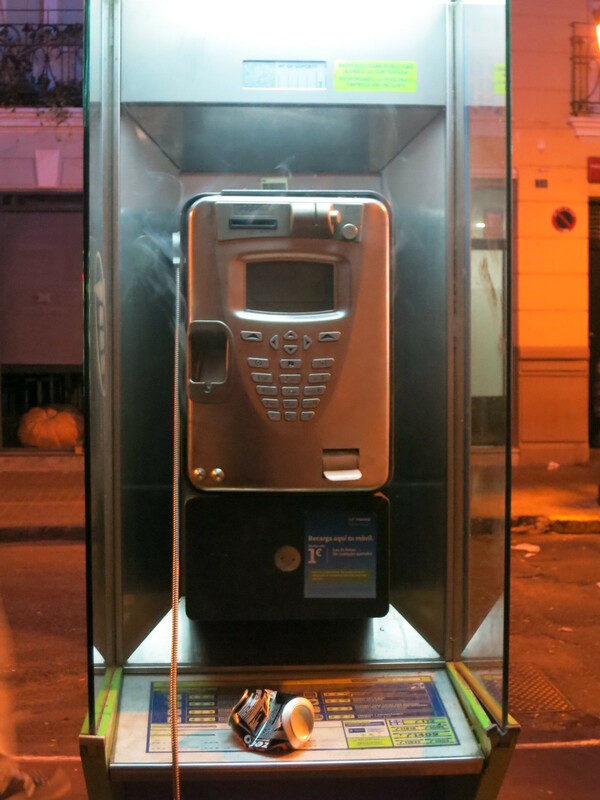 Why, yes, that is a smouldering payphone. 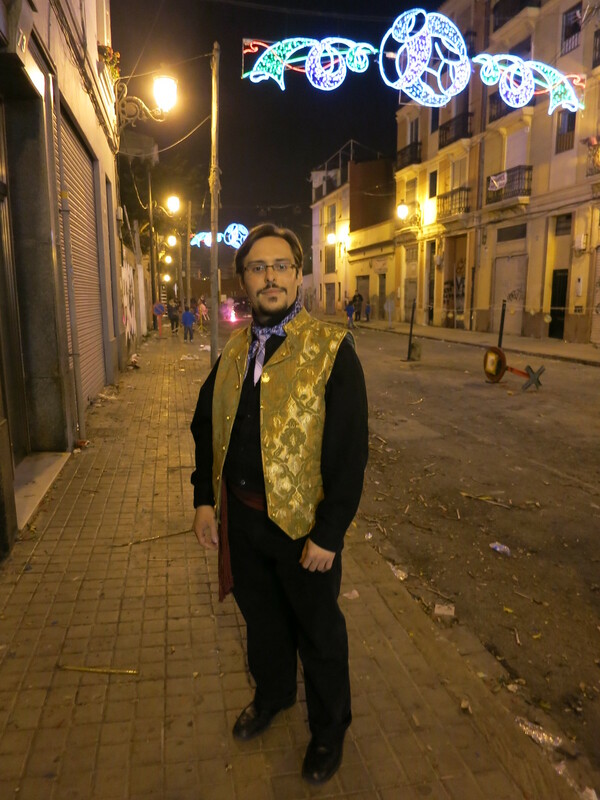 Throughout the holiday, Valencianos could be seen about town wearing the traditional garb of the fallero or fallera. 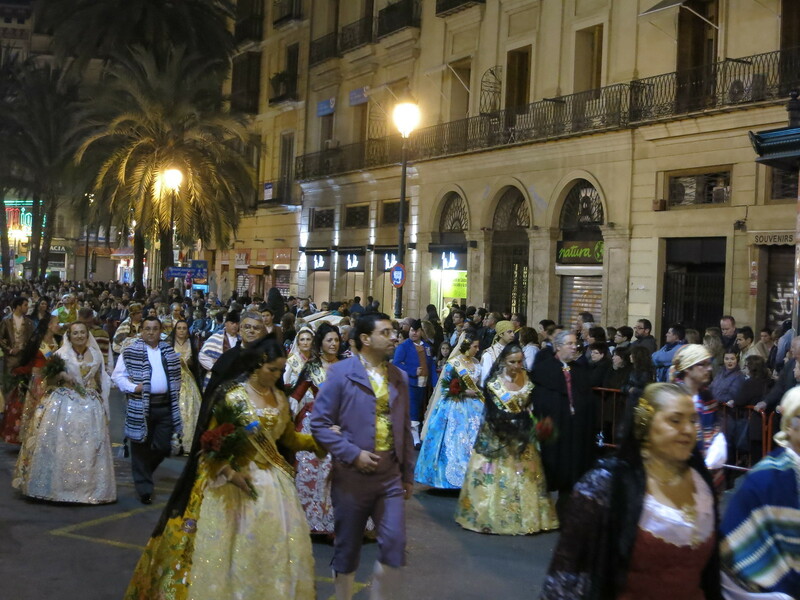 Valencianos clad in traditional dress parade through Plaza de la Reina. Remember everything they taught you about fireworks safety? 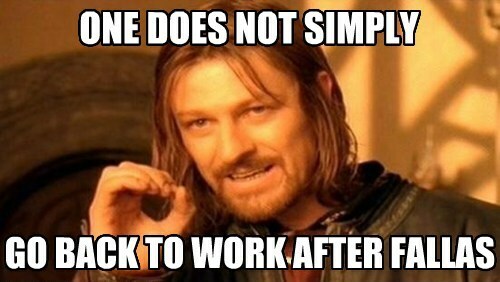 Yeah, me neither. 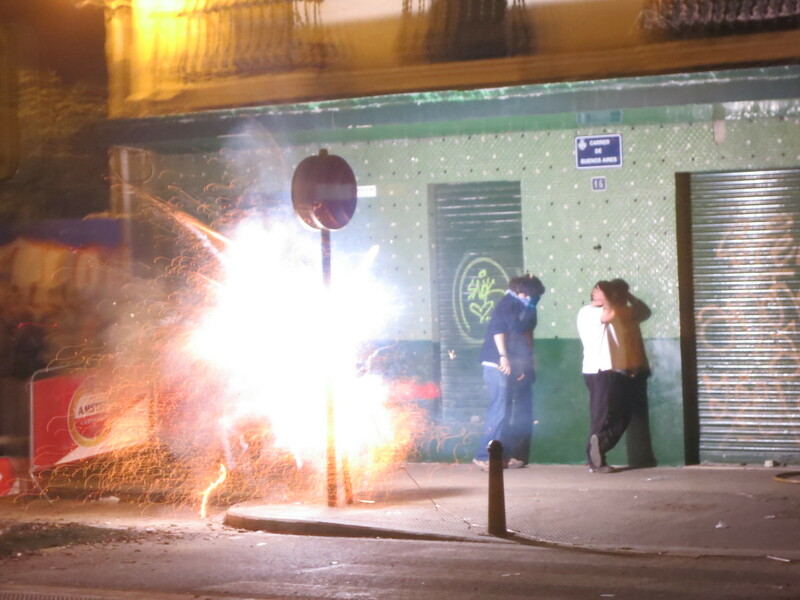 …which sets off the fireworks that were embedded inside the falla. Told you we came back. Yes, his job is to not put out the fire. 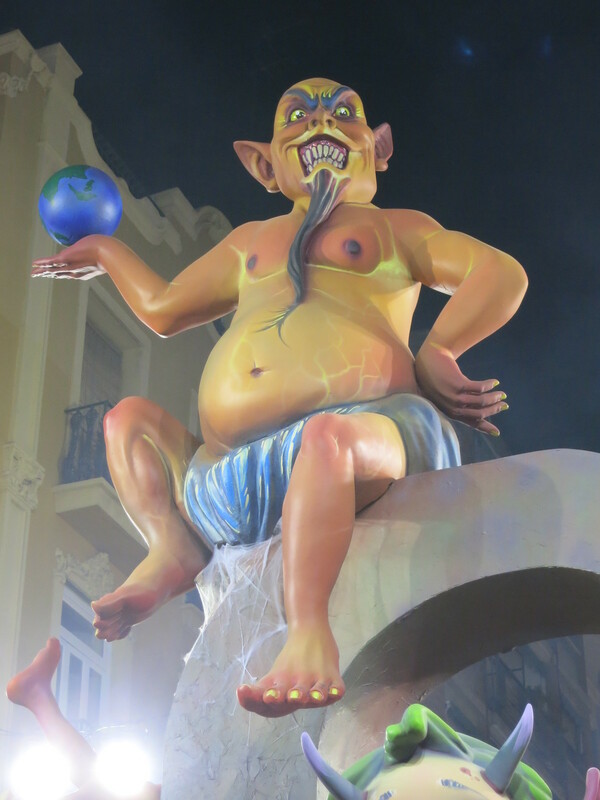 …as the falla belches gouts of flame and black smoke. See? Smoking is bad for your health. 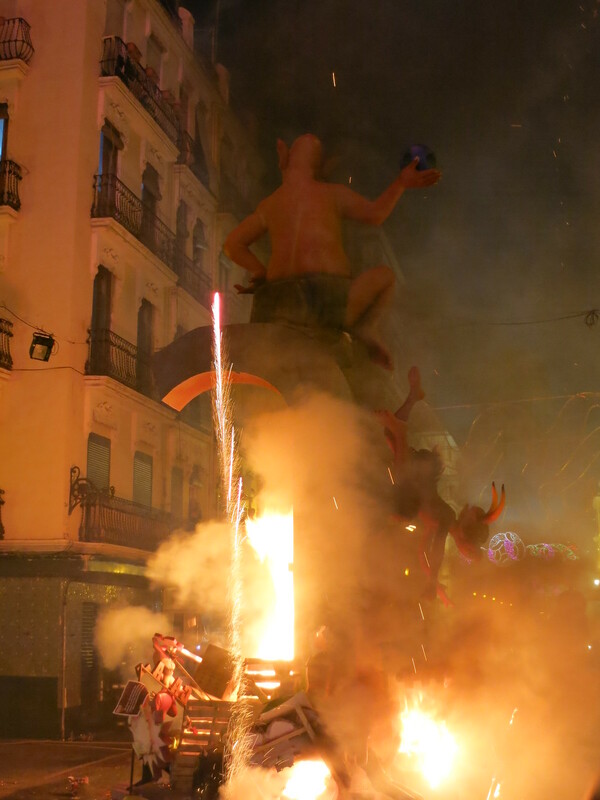 To be completely honest, for all of the pomp, explosions, and buildup, I was surprised at how subdued La Cremà was, especially compared to La Nit del Foc the night before. 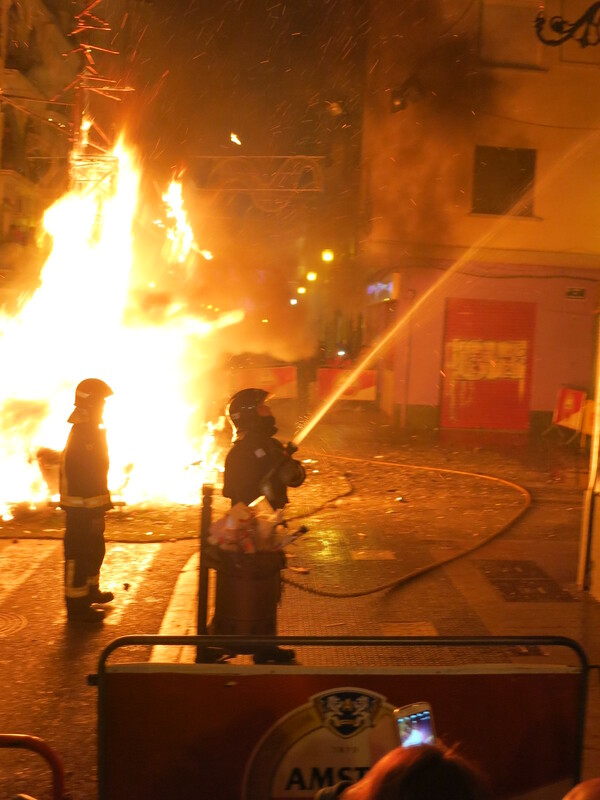 I was given to understand that La Cremà would transition from the burning of the fallas to an all-night dance party, continuing the trend of the previous several nights. Instead, the streets grew bare as the last of the fallas turned to ash, and the denizens of Valencia, rather anticlimactically, went to bed. Perfect day for meeting a dozen student directors from Barcelona, no? As I mentioned in my previous post, a dozen students from ESCAC in Barcelona visited us at Berklee for a full day of networking. The day was divided into them speaking about their projects — many still in the conceptual phases — and us playing our showreels for them. As we effectively outnumbered them three to one, and as most of us showed the same material, I can only imagine how overwhelming it must have been for them. Still, I was pleasantly surprised at the visual quality that is now being produced by student filmmakers (much like the audio quality that can be produced by student composers, I imagine). A week after Fallas ended, we concluded our study of Wwise in our Video Game Scoring course, and carried out a sample library recording session for Dramatic Electronic Composition. In preparation for the sampling session, we were visited by Eduardo Tarilonte, a prolific and accomplished virtual instrument designer. About a week and a half later, we were visited by Mason Daring, who brought along a clip from his latest film, Go for Sisters, for us to rescore for guitar, double bass, percussion, and synths. This cue is currently in the mixing process. Again, I was in the producer’s chair, but this time with Mason himself as my co-producer. Spring Break has come and gone, all too fleetingly. Some of us chose to take it as an opportunity to put in a focused effort on our plethora of projects, while others decided to travel or otherwise put their feet up for a week. I tried to strike a balance between relaxing and working — I even managed a day trip to the castle town of Xàtiva (pictures will be posted later) — and while I may not have been as productive as I potentially could have been, I was thankful for the break. Coming up in the imminent future, I will be writing a minute-long main title sequence for an imaginary television program and mixing it in the control room of the scoring stage for Advanced Scoring, designing a level with the Unreal Development Kit for Video Game Scoring, continuing work on my team collaboration with ESAT students, and turning 30.